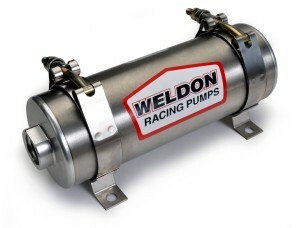 Cleveland, OH: Weldon Racing Pumps has launched its new continuous-duty 1100-A flow-through fuel pump. 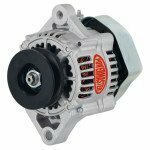 This all-metallic design follows their successful, smaller 600-A pump, and like it, serves both carbureted and fuel injected applications. 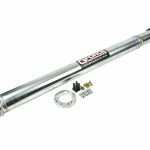 While the 600-A was designed to be quiet in operation and support 600-plus horsepower, the 1100-A is also quiet but easily provides fuel for 1000 horsepower. 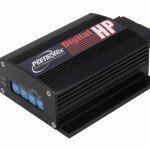 With fuel injected applications, the 1100-A should be combined with a bypassing regulator such as Weldon’s A120. For carbureted machines, the 1100-A should be used in conjunction with both a bypassing regulator, (like a Weldon A15 or A30) and a blocking regulator (Weldon A2046). With either system Weldon recommend the installation of two fuel filters: a 100-micron filter before the pump and a 10-micron filter after the pump. The internals of the 1100-A are contained within Weldon’s familiar stainless steel type 304 housing with clear-coat anodized end caps made of 6061 billet aluminum. 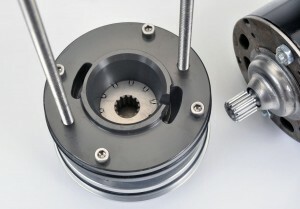 The fuel-cooled motor drives the pump element by spline engagement. The pump element is located at the inlet end and is sandwiched between top and bottom 0-ringed housings made of 6061 hard-coated anodized billet aluminum. The pump element (ring, blades & rotor) are all constructed of steel, and like all the moving components within this pump they are precision-lapped. 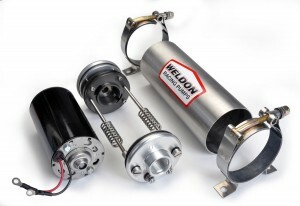 Because of Weldon’s distinguished aerospace background, every fuel pump they manufacture receives its own serial number and a corresponding flow chart. All their pumps are tested with actual fuel, not testing substitutes. In fact, they take their test procedures further: testing their fuel pumps, if necessary, to their customers’ special requests. Whether 89 or 93 octane or Sunoco GTX 260 NASCAR Spec racing fuel, Weldon certifies their pumps will meet the task assigned. Equipped with -10 inlet and outlet ports for easy plumbing, this pump can be mounted anywhere—it’s self-priming. 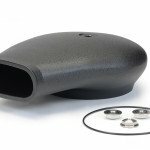 Whether submerged in the tank, above or below the tank, or 12-feet forward of the tank in the engine bay, the 1100-A will draw its full capacity of fuel. 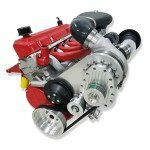 As Jeff Taylor, the accomplished drag racer and race engine builder said, “This thing will pump fuel from 15-feet below—it’s like a well pump on racing fuel!” The Weldon 1100-A is priced at US$310.